Happy (belated) new year! It’s 2019 but I’m still writing about the things I made in November… Back in November hubby and I took a trip to Vancouver. I wanted to use my London backpack during the trip but I realized the straps were kind of uncomfortable to wear. It was because I made the bag part smaller than the actual pattern, but I didn’t make the straps longer to balance that out. So I decided to make another one! This time I used the grey twill fabric (left over from this project), the lining is left over from this dress. 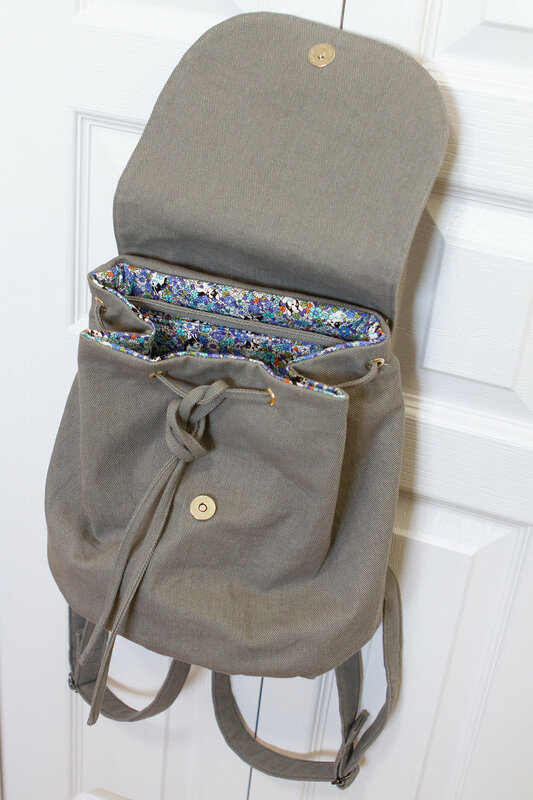 London Backpack pattern is available here. I love London backpack in this colour too! (If you didn’t know already, I love the colour grey.) And I really like this pattern. Much more comfortable to wear now! I’m very pleased with the strap placement changes I made. I really like the construction and the shape of this backpack. And loooove the lining fabric I chose! 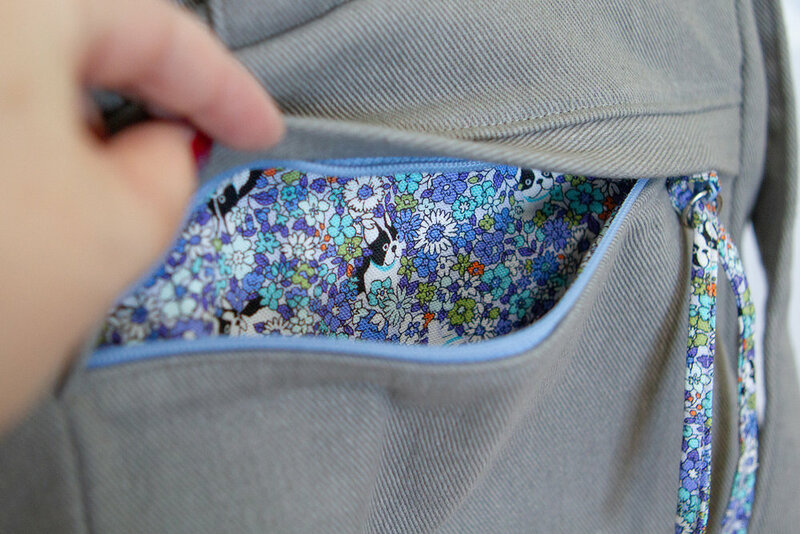 The interior pocket with a zip is really practical! 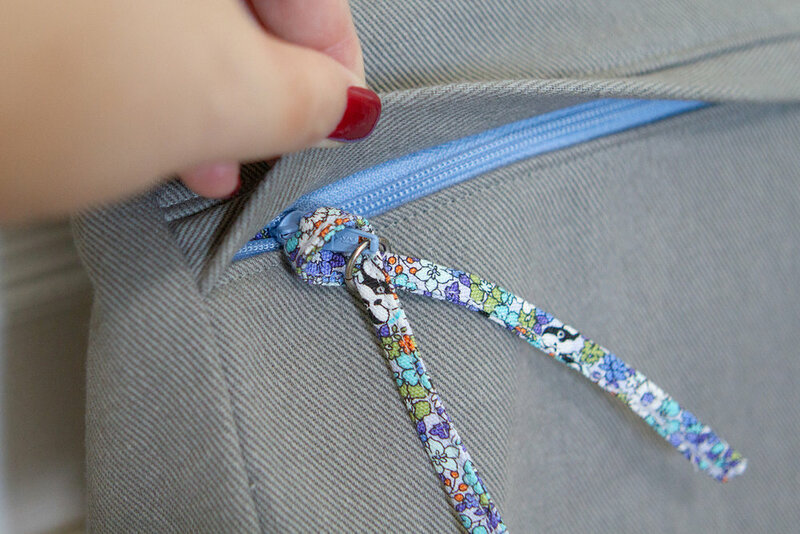 My favourite detail of this backpack is the back zip pocket! 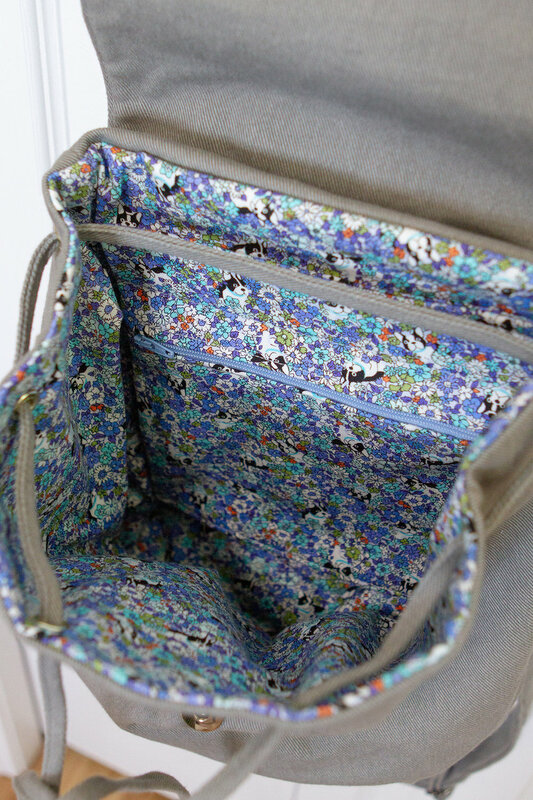 It’s perfect to store small valuables like phones and the zipper pull which peaks out a bit is just adorable. I really liked the first version of it too, but the fit of the newer version is now so much better on me! I used it during the trip and it was a perfect purse-backpack to carry it around the city. I decided to donate the first version, hoping a smaller person might find the fit just fine and make a better use for it.